Nissan has decided that the New York International Auto Show won’t just be about crossovers and SUVs. 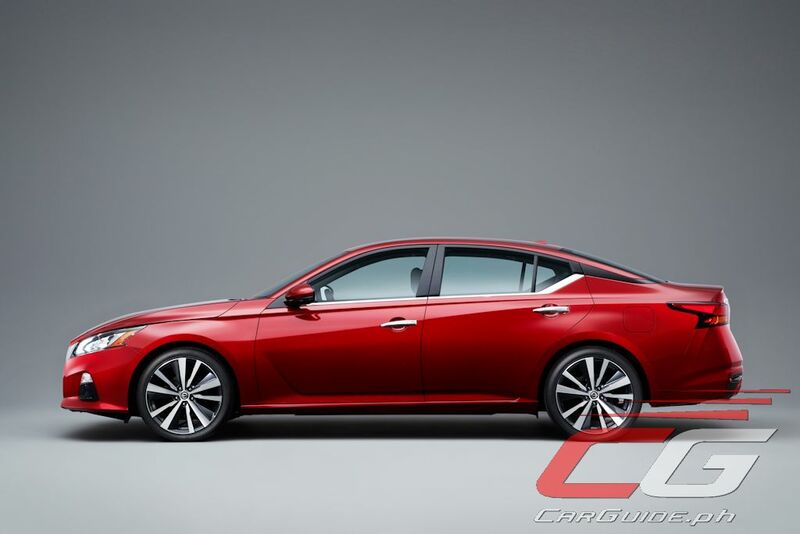 To point, they’ve used this occasion to launch the all-new 2019 Altima—their new executive sedan that’s destined for sale not just for North America, but for the rest of the world as well. And based on what they tell us, they’re tired of being boring. 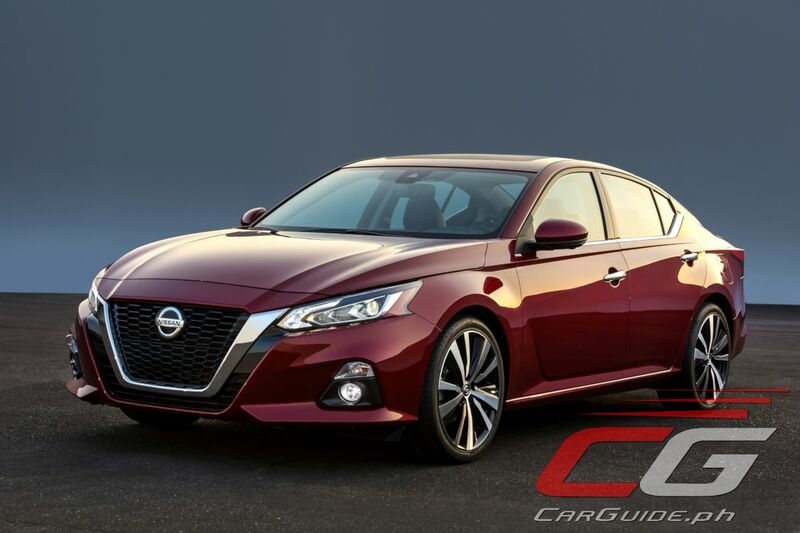 Migrating to an all-new platform, the 2019 Altima drops the V6 in favor of two 4-cylinder engines. This had a tremendous effect on the design which features a shorter, lower hood. Its wheelbase, length, and width have all been stretched, but its height has been lowered. Its co-efficient of drag is just 0.26. 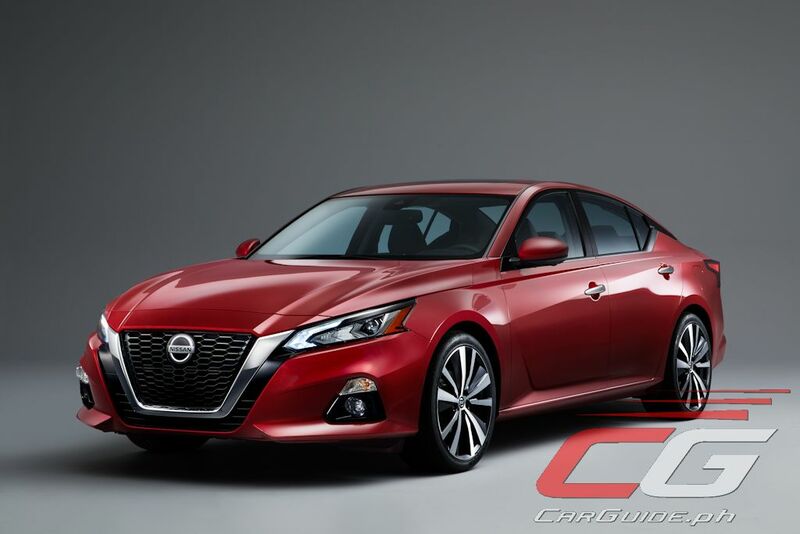 Exterior elements include the Nissan V-motion grille, LED projector headlights, LED fog lights, and available 19-inch wheels. 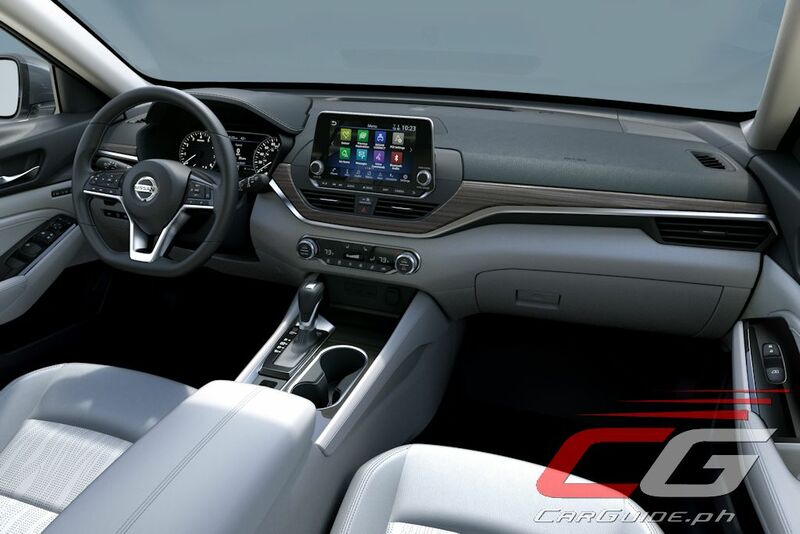 Inside, the Altima goes for a lightweight, layered feel with a horizontal “gliding wing” instrument cluster as well as the use of high-contrast colors and uplifted materials. 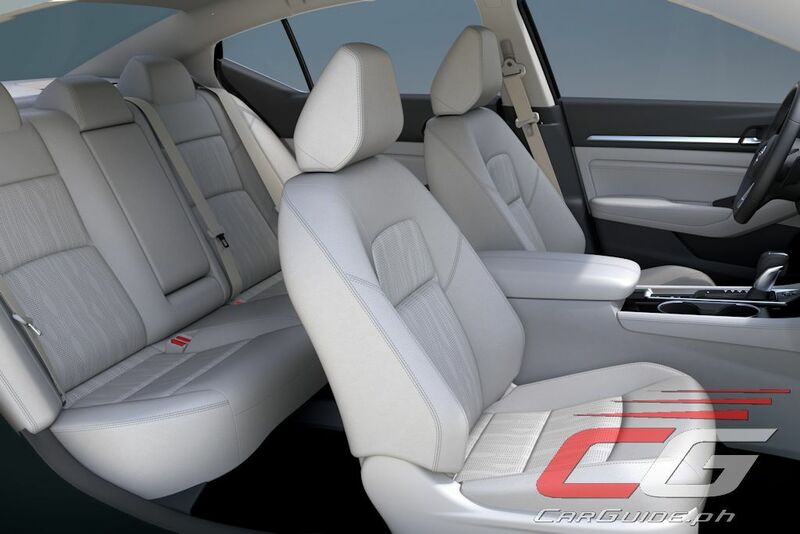 The passengers are supported and cuddled by the NASA-inspired Zero Gravity seats with dual-density foam with the driver getting an 8-way power adjustment with memory. Android Auto and Apple CarPlay is standard. Under the hood, the 2019 Altima gets either a normally-aspirated 2.5-liter direct-injected 4-cylinder motor that makes 188 horsepower and 244 Nm of torque thanks to 80 percent new or redesigned parts. 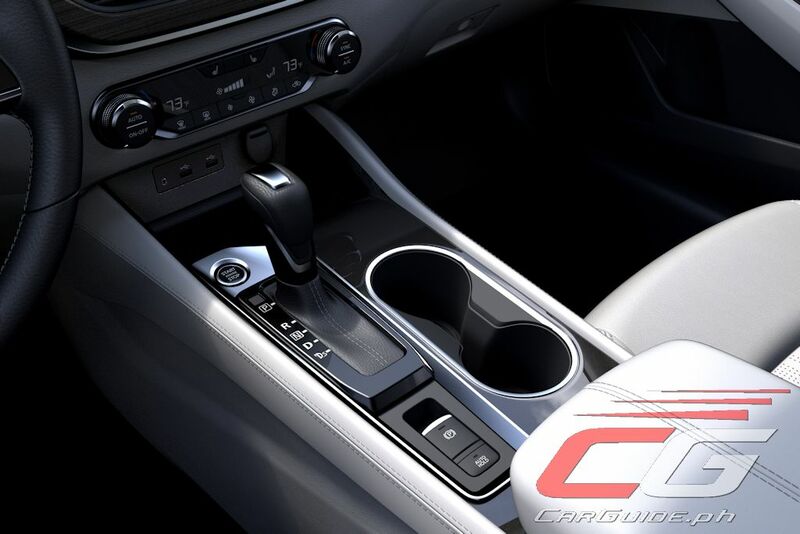 The bigger news is the availability of a Variable Compression Turbo (VC-Turbo) engine. In development for over 20 years, VC-Turbo can change its compression ratio from 8:1 to 14:1 seamlessly. 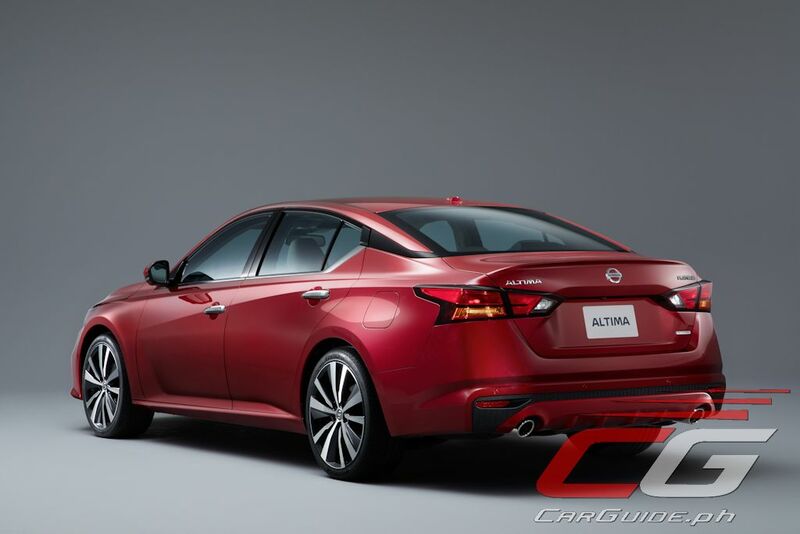 In this guise, the Altima develops 248 horsepower and 370 Nm of torque. 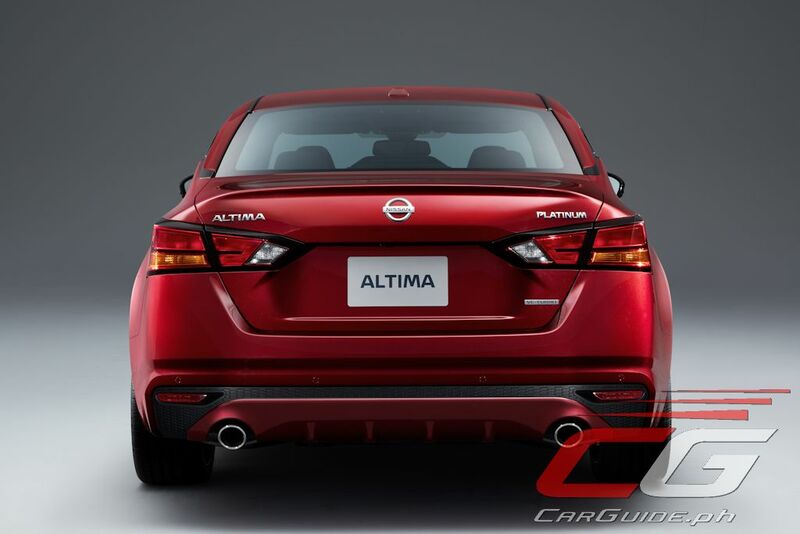 The Altima’s platform also uses monotube rear shock absorbers (the first for an Altima), added suspension reinforcements, and suspension geometry enhancements to improve steering feedback. The steering itself has been upgraded to a dual-pinion set-up which enhances steering feel and reduces noise. The biggest surprise though is the availability of all-wheel drive for the very first time. Paired only with the normally-aspirated engine, this uses an advanced torque split control system that can vary engine power front-to-back from 100/0 to 50/50. 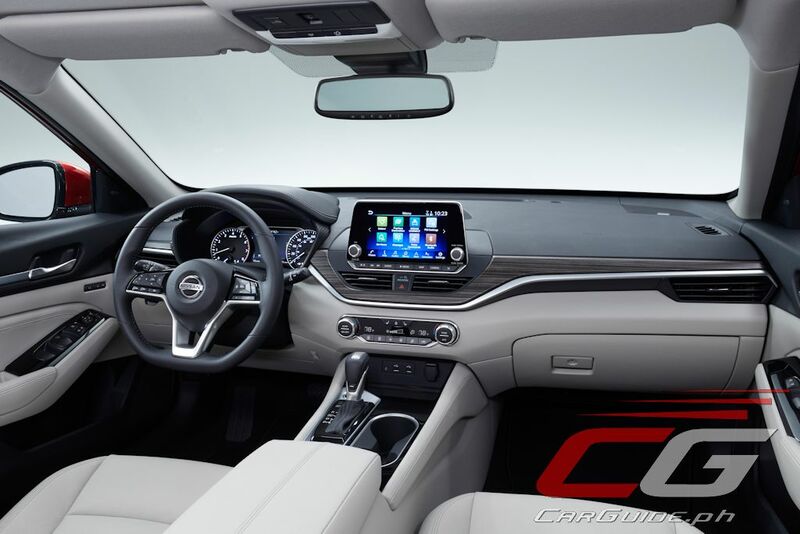 As another icon of Nissan Intelligent Mobility, the 2019 Altima receives Nissan’s ProPILOT Assist wherein the car can automatically steer, brake, and accelerate autonomously (single-lane highways). 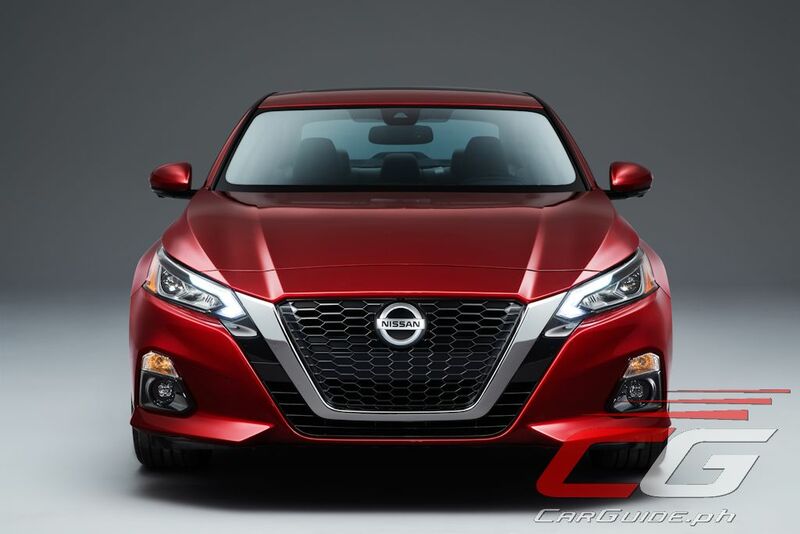 Nissan is set to start the sales of the all-new Altima in the US by the third quarter of this year with other markets to follow thereafter. ^It's called a corporate design language. Even other brands have that. Look at the bmw's same grill and design from the 1 series to the 7 series. Audi, is pretty much the same. Honda is following suit with the mobilio and civic having the same grill design. But would you mistake the civic for a mobilio? Would you mistake a Mazda 3 for a CX-5? If I wasn't into cars, all BMW's would look the same. From a distance, many non-enthusiast mistakenly identify the mazda 3 with the mazda 6, the mazda 2 with mazda 3 especially in sedan form and in soul red, the cx5 with the cx9. You can't say that about with the city and the civic, or the CRV with HRV. A corporate design could be easy as applying a grille or headlight design. This is something we see particularly with mass market brands. However, as you move upmarket corporate design becomes embedded in the entire car...grille, lights, proportions. This is something you see in Audi, BMW, Mercedes-Benz, and even MINI and Rolls-Royce. Having started from scratch with its KODO design they were able to implement it consistently throughout the line-up. Does the CX-3 look like a CX-5? Does a Mazda3 look like a Mazda6? Not so. The devil is in the details and this is something that design enthusiasts and even fellow car designers admire about Mazda. I love to shove Uly's statement into those nitpicker's faces. You gotta understand, this is through the eyes of a non-enthusiast. Not everyone has the eye for details. Common folks can barely distinguish a mazda 3 from a mazda 6 on the road. You'll only be able to identify the car if you look at it closely. Hell when it was new, even I thought the facelifted mazda 3 was a mazda 6 when I first saw it going towards me. I only realized it was a 3 once I able to view the rear since it was a hatchback. It shouldn’t matter. Why does every car have to look different in a line up? It is to brag that you have a more expensive car? Common folk will appreciate beauty for what it is and in the end, for as long as the owner of the car is happy with the design then it shouldn’t matter. Again, it’s all about details. Will you or your friend go out in a shirt that shouts “Supreme” or will you rather be in a finely tailored suit? True luxury isn’t about being flashy. It’s about being restrained. This is something we see in every carmaker now. And not just carmakers but gadget makers as well. I personally think a car is your identity on the road. And everyone wants to look good, well most of us would. I want to look different but if i bought a CX-9 and a common folk say "nice mazda 3 u got there". I'd be sad. ^Obvious troll, how could people mistake a CX-9 for a Mazda 3? Are you out of your mind? That's true. I want my car to have a sense of identity. I think that's the problem. Sure once you notice at a mazda car on the road, you know its a mazda and it looks good. The issue is identifying what kind of mazda is that because they look the same. BMW and other premium/luxury car makers can get away with the corporate look because all their line up is expensive, meaning there is a wow factor when you see one because of the rarity and the general knowledge of the public of their prestige. And yes Mr. Uly, a lot of people buy cars to let others know that what they are driving is expensive. That is the unfortunate reality. That’s the thing...Mazda wants to push their brand now as a premium Japanese brand. Maybe not the same level as Lexus, but one that gives a sense of luxury compared to Toyota and Honda. Their family design is part of that strategy because as I said, premium cars have a strong familial design language. Whether that will work or not remains to be seen, but so far critics and owners alike have been happy with the designs. And for sure there are those who want something ostentatious...perhaps Mazda isn’t for them then. But again...look at how Hyundai is trying it with Genesis line...it’s the same thing. Same lines, same design language executed throughout. This is going to be a strong trend within the entire industry I think. As a Mazda owner I agree. It looks great, it drives well and it gives you a feel good feeling while driving it in a sea of common eco cars. I have no problem if it looks great, I mean why bother spending money in the design department for something that already looks great. Look at the other brands, they are all trying hard in the design department but most of them overdo it. Most new cars today are over styled, unlike Mazda's elegant yet sporty designs. Look at Hyundai's Elantra and the new Accent? It's like the Mazda 3 and the Mazda 3, but honestly, the Hyundais look more similar to each other than the Mazdas. And if you ask around, people tend to think of Mazda as expensive. People who ask me how much is my Mazda 3 are shocked to find out that its just 1.3m, they thought it was around 2m. The rarity factor of Mazda is still there because of the public ignorance and the small target market of Mazda. The grill is meh. 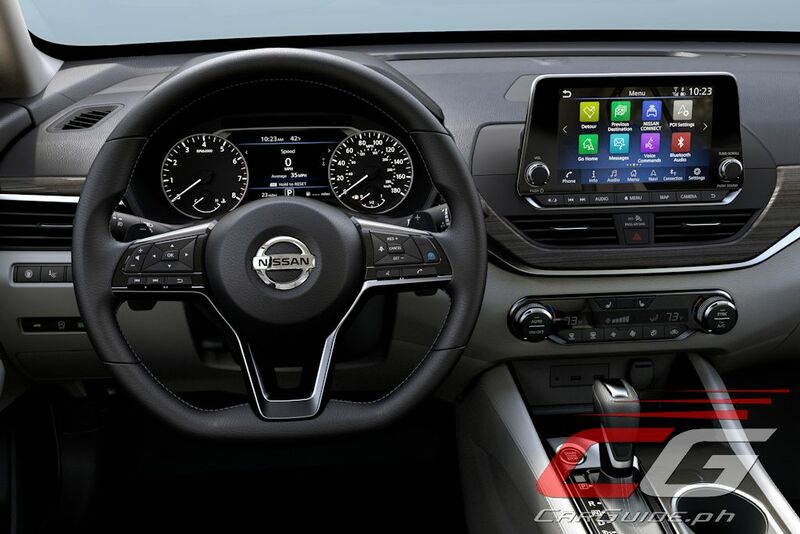 Nissan also has somewhat become a BMW copycat in terms of interior design, it looks good though. Hoping that Nissan will do away with the white leather seats, as it's very easy to get soiled. On a positive note, this is good for the competition. I hope NMPI won't strip this down of its important features. My friend has a Sylphy, it is the most spacious compact car I've ever ridden but the inside is dated and the name is hard to spell. Walang tatalo sa Toyota Fortuner.